Trust me, I get it, plumbing isn’t necessarily something that we want to spend money on, it isn’t glamorous and often when it comes to plumbing we want to spend as little money as possible. With that in mind I’d like to educate you on some plumbing materials that we see people buy trying to save a few bucks now, but during the lifetime of the plumbing fixture those savings on the initial purchase end up costing homeowners big time in repairs. Buying quality in the beginning will help you to save money on plumbing repairs and possible replacement, as the saying goes, do it right the first time. When it comes time to replacing your faucets this is not a time to skimp on the generic brands. Those off brands can save you money today, but in the long term these faucets cost clients hundreds more than they would have spent by buying a major brand. Why? These off brand faucets don’t have the same quality parts inside of them, that means that these parts, that are designed to wear out over time wear out even faster. When your faucet starts leaking, it is the cost of the parts as well as the cost of an experienced plumber to fix it properly. Many of these off brands don’t stay in business long and that often means that parts are no longer manufactured and are not readily available, if available at all. 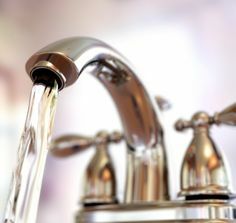 This creates big headaches for homeowners that could have been avoided by buying a higher quality faucet to begin with. Many major brands even come with lifetime warranty on their parts, so when buying new faucets think about the next ten to fifteen years rather than the immediate savings today. Another plumbing product that shouldn’t be skimped on is your new toilet. There are practically thousands of toilets on the market, and many homeowners and landlords go for the cheapest model they can find – not a good move. Toilets that are poorly designed wear out quicker and they also do not have the same science and flushing power behind them which creates chronic toilet stoppages and can even lead to flooding. In the past twenty years we’ve seen many plumbing projects where we have had to go in and replace toilets that were less than a year old because they were constantly backing up due to poor flushing science. The sad part is, the toilet price difference is often less than 50.00 and that savings is immediately flushed down the drain the first time you have to hire someone to come out and clear a stoppage. The last item I feel passionately about are water heaters. Water heaters that you can buy at the hardware store are not the same as the water heater a licensed contractor will buy and provide. The water heaters sold online and in hardware stores are inferior to the product sold by many licensed contractors. Water heaters are an investment and while considering the small difference in price today, I want you to be aware of the long term costs that will inevitably add up later. Water heater repairs can add up, and while water heaters come with a tank and parts warranty all water heaters past one year no longer have a labor warranty, and labor to have a plumber out on a regular basis to repair parts on your water heater can add up.